Integrated into the display are four scale replica Cox Plates, commemorating each of her four record-breaking victories at Moonee Valley. 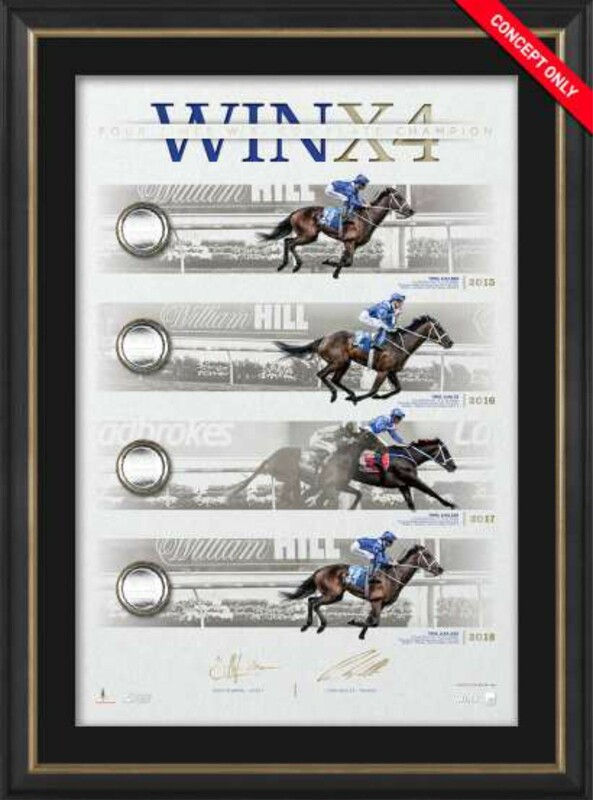 The artwork features Winx crossing the line, victorious in the 2015, 2106, 2017 and 2018 Cox Plates. 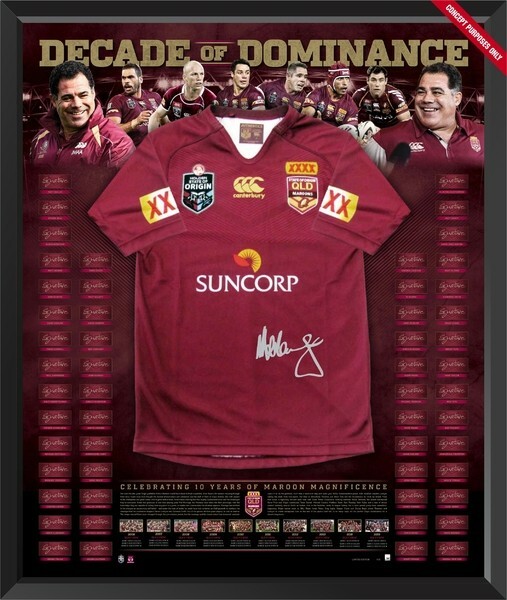 The limited edition is personally signed by four time Cox Plate winning jockey Hugh Bowman, along with trainer Chris Waller. Limited to just 444 editions worldwide. 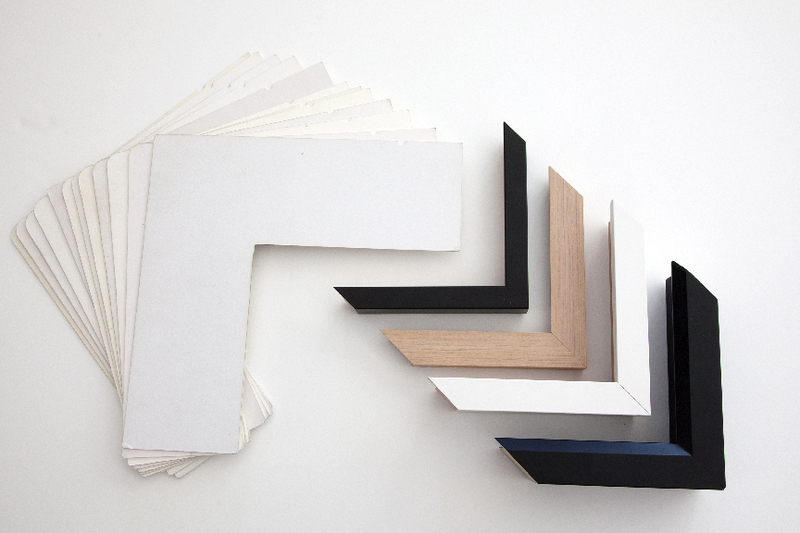 Approximate framed dimensions are an impressive 790 x 590 mm. 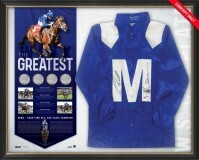 The limited edition is officially licensed and endorsed by Racing Victoria and the owners of Winx. Accompanied by an individually numberered certificate of Authenticity and independently authenticated by a-Tag. Price: $695.00 standard glass or $795.00 in UV Glass.